Dremel Multi-Max owners, did you loose the Retainer Screw that secures the blades onto your machine? This 3 piece kit replaces your lost screw, Washer & Wrench or serves as a convenient back-up. 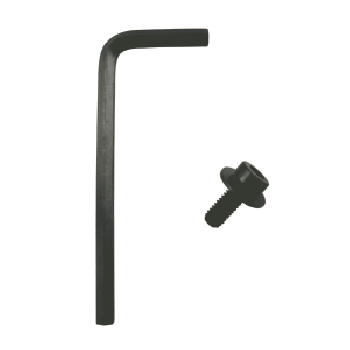 Kit includes, - A blade securing Allen Screw, flange washer & Allen Wrench. ATTENTION: This Kit is ONLY compatible with Dremel Multi-Max models utilizing an Allen Screw for securing the working accessories. (Will not fit the Dremel MM30, MM40 or MM45 or any other brand name multi-tool). This Replacement screw secures the cutting blades and accessories onto Dremel Multi-Max models utilizing an Allen Screw for securing the accessories. ATTENTION: This Kit is ONLY compatible with Dremel Multi-Max machines. (Will not fit the Dremel MM30, MM40 or MM45 or any other brand name multi-tool).